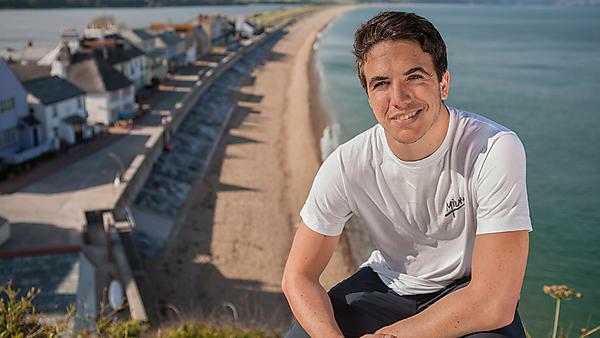 Having worked on projects in the Middle East and India, Joe knows how important Plymouth's world class marine facilities were to his future career. I took a graduate role with CH2M HILL in the Ports and Maritime team, shortly after completing my MSc in Coastal Engineering. Since joining the company, I have been involved in a wide variety of projects, encompassing many different aspects of maritime engineering, including involvement in the design of: dry docks, commercial ports and container terminals, harbours and marinas for leisure craft, artificial beaches, breakwaters and various rock structures, and reclaimed islands. A career in engineering of this kind also often provides a great opportunity to travel. Many of the projects that I have worked on from the UK, since starting for CH2M HILL, have been international: working in locations such as the Middle East and India. In my first year at CH2M HILL, I spent approximately five months working in our Dubai office, which afforded me the opportunity for involvement in some mega-projects such as the Dubai Water Canal (a 3km long, 100m wide canal extension, which extends from Business Bay and routes the existing canal back into the sea, with a large reclaimed peninsula with new beaches and a marina) a new boardwalk project on the iconic Palm Jumeirah, the development of Marjan Islands in Ras Al Khaimah, development of the Burj Al Arab luxury hotel and also redevelopment of the creek area (known as the Marsa Al Seef). My career path has not changed since graduation – I am still thoroughly enjoying pursuing a career in the coastal/maritime fields of engineering and a job in this field will generally keep you near the sea, which was one of the main reasons why I chose this career path. Gaining the MSc qualification allowed me to progress towards chartership with the Institution of Civil Engineers which is the first major goal for most civil engineering graduates (it normally takes around four years after graduation to achieve). I intend to build on my experience in this field of work and continue to explore and travel with the job and work towards chartership. The most difficult thing I have faced in my career thus far has been coming to terms with the engineering judgement and expertise required for successful coastal engineering projects. As a field, Coastal Engineering is far more subject to interpretation than the more ‘bread and butter’ forms of civil engineering, such as the design of roads or generic buildings. The industry-standard design guidance for coastal engineering is nowhere near as solid, and thus, a lot of engineering judgement and experience is often required, as well as physical modelling (scaled down models of design scenarios – such as modelling waves hitting a breakwater). New research is often appearing which can supersede previous design methods and recommendations. The investment that the University made in the new marine building is a testament to this, and highlights the importance of research in this field. Working in Dubai was a culture shock as I had to work long hours on monstrous projects for demanding clients in a high pace environment. The projects I was fortunate enough to be involved with really opened my eyes to the various aspects of engineering schemes on large scales. It was an incredible place to explore and work in, and the experience has broadened my engineering skills considerably. Working in Dubai is a lot more client-facing, and often money is no object so the schemes can become incredibly elaborate and lavish and impressive. The MSc gave me a good founding in the fundamentals of coastal engineering and an understanding of many of the main avenues to venture down, such as port and harbour design, coastal protection design and physical and numerical wave modelling. Completing the HSE Part 4 Commercial SCUBA diving course as part of my undergraduate degree and undertaking wreck dives on the HMS Scylla. Also, using the coastal tank in the new marine building for my MSc thesis, where you can combine multi-directional wave spectra with currents and can carry out physical modelling of various coastal engineering scenarios. I was in a group of three students who were tasked with investigating hydrodynamics at monopile windfarm structures as part of the OFELIA research scheme. Assisted by various technicians and staff at the university, we built models to put into the coastal tank and then sent waves and currents at them, taking measurements for later analysis. For more information about studying coastal engineering, please visit our MSc Coastal Engineering page. For more information about our range of courses within the School of Engineering, please visit the school page.